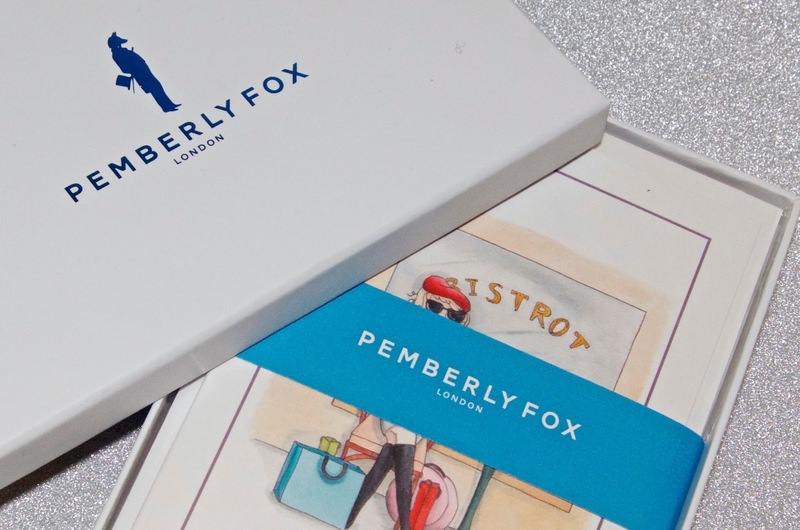 If you're not familiar with Pemberly Fox, I'm delighted to introduce you to this new London-based luxury stationery and greeting card brand with craftsmanship & quality design at its heart. Offering both bespoke and off-the-shelf options by a range of artists from around the world, Pemberly Fox is making handwritten correspondence cool again, one fabulous design at a time. 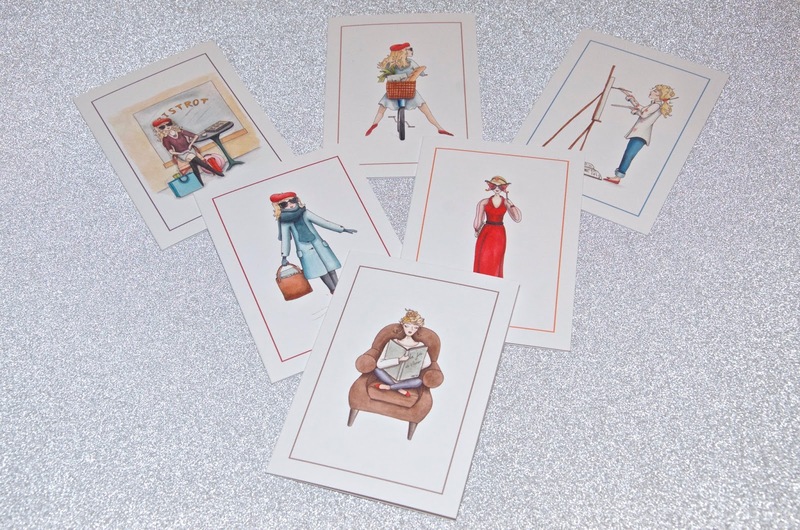 Which brings me to Margaux, the Parisienne It Girl featured on the latest collection of cards by artist Kristie Vargo. Living the good life through a series of illustrations, Margaux represents every woman's inner It Girl. 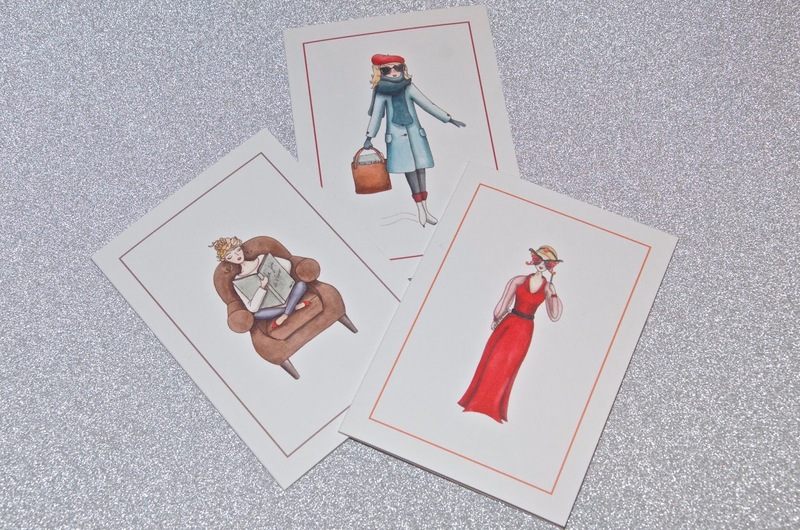 Margaux's luxe experiences are now being brought to life on a series of greeting cards exclusively available at Pemberly Fox - that's right, you can't get these beauties anywhere else! Embodying joie de vivre, Margaux is often portrayed wearing her signature oh-so-chic red beret with sunglasses and can be seen playing tennis, ice skating, cycling through the French countryside, painting a masterpiece, enjoying an afternoon of coffee and people watching at a local Bistro and more... There's nothing Margaux can't do! 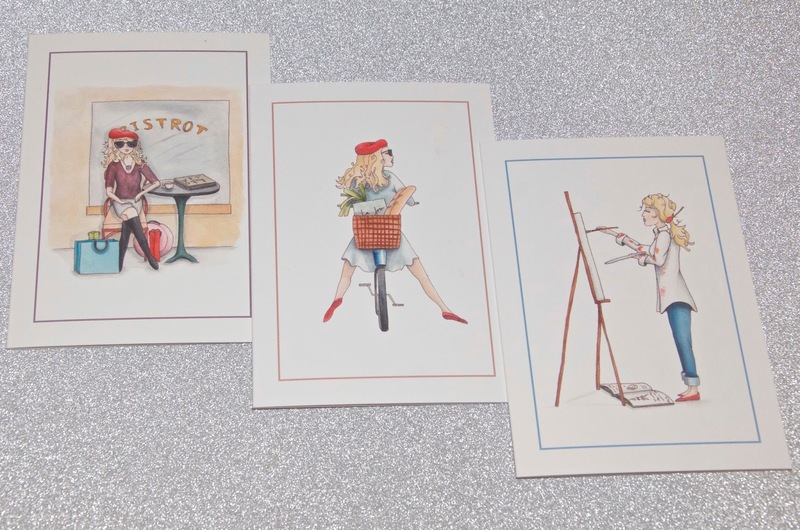 The Margaux greeting cards are the creation of well-known Chicago artist Kristie Vargo. Each illustration of Margaux begins as a pencil and ink illustration, which is then painted with watercolors. Vargo keeps it authentic, even using French-made paper... Naturally! There are 12 different Margaux greeting card sets to choose from, each more adorable than the last. 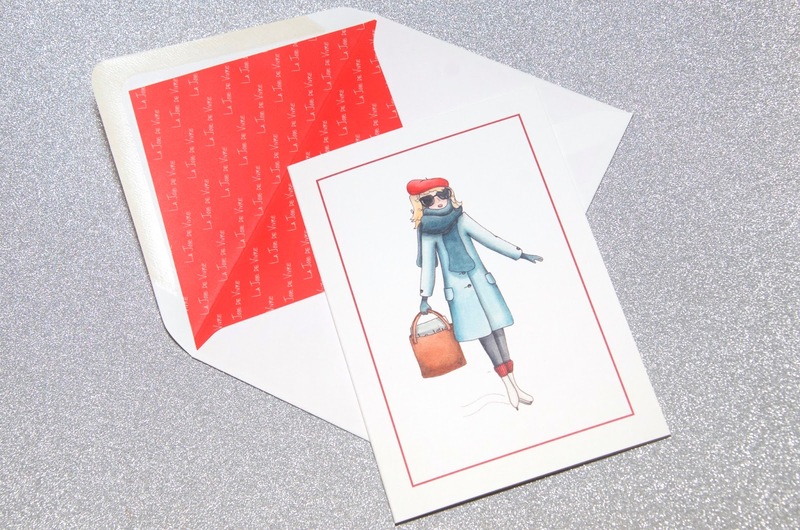 Each set contains 6 cards and envelopes lined with printed red paper (to match Margaux's beret) that appropriately says La Joie de Vivre. The cards are packaged in a beautifully presented white Pemberly Fox box. If you were looking for a gift for someone (or for yourself) you couldn't find something more chic or thoughtful than a box of cards featuring Margaux in a scene that represents something the gift recipient enjoys... Très chic! The fab folks at Pemberly Fox sent me a sampler box of Margaux cards to try out and they are completely adorable, not to mention quite luxe. With lined envelopes, sturdy card stock and beautiful illustrations, these beautiful cards are great to have around when you need to drop someone a note, sending out a thank-you card or even if you need a card for someone's birthday or another occasion. 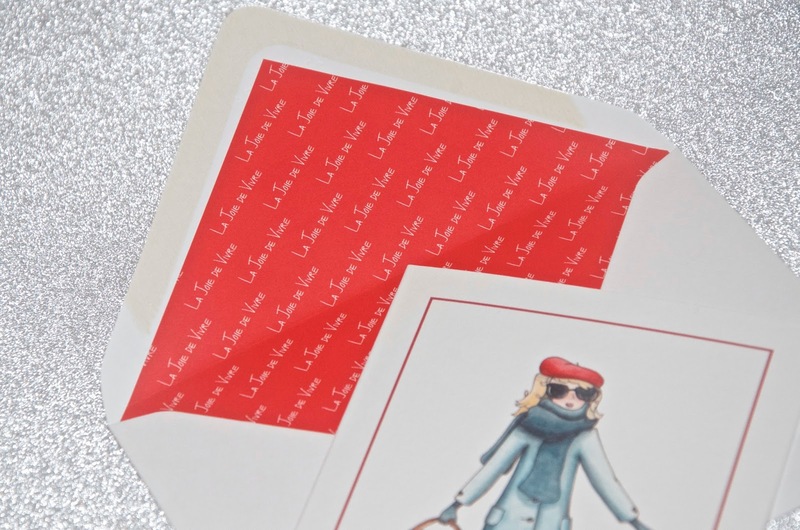 It would be hard not to get excited about being given one of these super chic cards... They're so luxe and completely adorable! Choose from 12 Margaux greeting card designs at Pemberly Fox. A box of 6 cards costs £19.95 is available online from pemberlyfox.com. Pemberly Fox also offers bespoke stationery, party invitations, wedding stationery and more. For more information or to shop for some fabulously luxe new correspondence goodies, visit pemberlyfox.com.